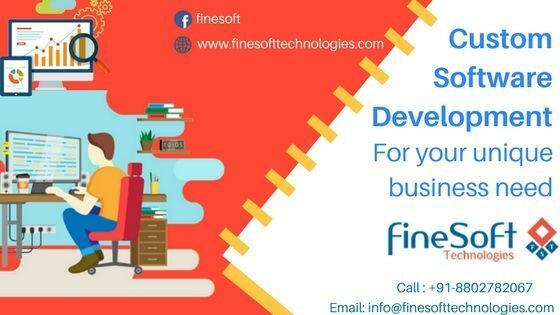 FineSoft Technologies is the best Software Development company providing in India. We also offer Mobile Application Development, PHP development, eCommerce website development, Sketch to HTML, PSD to HTML, WordPress, and Magento services for your online business. We offer services that are the unique combination of user-friendly design and strong internet marketing plans. Being in the market for years, we are pioneer in providing superior and world standard Mobile Application Development to our clients. A creative idea is popping in your mind! Now the next layer to add up in your idea is to find the best mobile app development service that can give your idea a reality.